In the early days of Spring and Autumn, we have fun visiting nurseries and garden centers, admiring all the newly arrived plants and pondering what should go next in our edible back yard. Yesterday we selected a few new fruit trees and bushes to plant, though we had a hard time narrowing down the choices. After dragging every specimen onto the ground so we could examine it completely, we chose two fig trees, two more blueberry bushes, two muscadine grape vines, and a pomegranate tree. 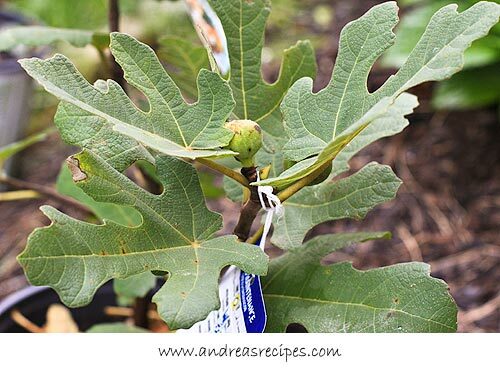 The figs trees we chose are the variety Chicago Hardy, which are hardy to Zone 5, perfect for our zone 7A area. (To check your growing zone, type in your zip code at the National Gardening Association zone finder.) The trees get big, up to 25 feet tall and 20 feet wide, and since we purchased two we need to space them at least 15 feet apart. They are self fertile, but like many self-pollinators they produce better quantity and quality fruits when paired with a compatible tree. We love that the two trees we purchased already have some figs on them. 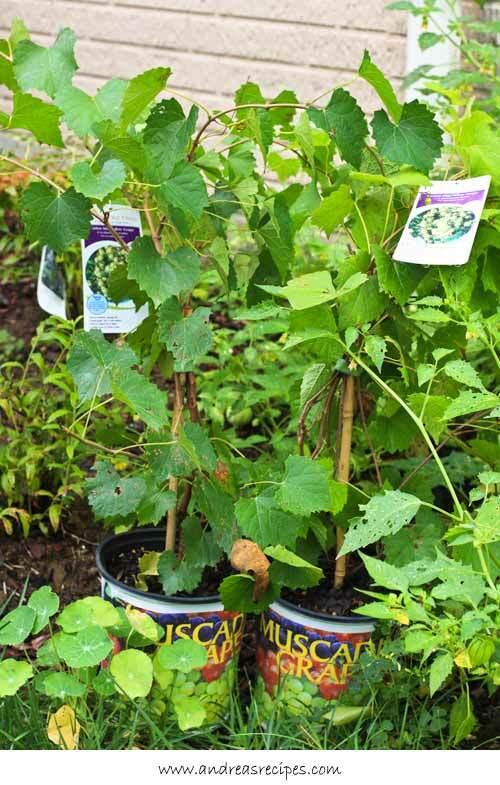 The muscadine grape vines were a wonderful find, especially after the fun we had making jam from the wild muscadines we purchased at the farmers market in Columbia, SC. The Carlos variety we chose ripens bronze and is a self-fertile heavy producer, perfect for juice, wine, and jam. We do have wild grapes growing in the wooded area behind our property, but the vines are growing vertically in the tall trees and are starting to create a canopy near the top, so really only the birds get to enjoy those grapes. And this little jewel was the most exciting find, a pomegranate tree, the Wonderful variety. Yes, this is the tree that makes the enormous poms we find in the stores during the holidays. We were ecstatic and encouraged to find that the trees will grow in our area and have a good chance of setting fruit. 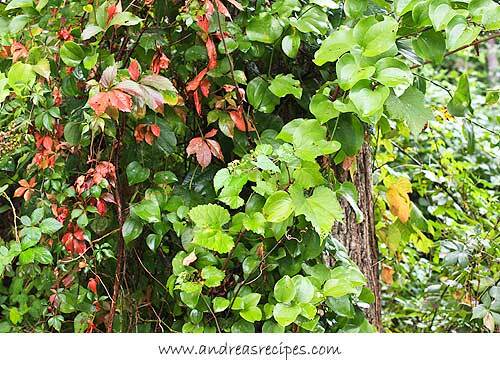 The tree is a semi dwarf and will grow to just 10 feet tall and 10 feet wide. Pomegranate trees typically don’t set fruit during the first three years, so a little patience will be required on our part, but we are thrilled at the prospect of growing pomegranates. It almost makes up for not being to grow our own avocados. I didn’t know there was a variety of fig that was hardy to zone 5! I live in zone 6 and see my neighbor wrap their fig tree with black plastic every winter to protect it from the cold here and not only does that seem like so much work, but it’s quite unsightly, too. I’d love to grow figs in my yard. I’m going to look for the one you name. 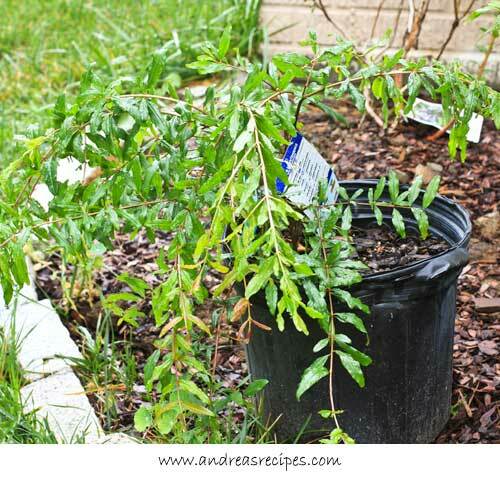 How lucky that you’ll be growing pomegranates, too!